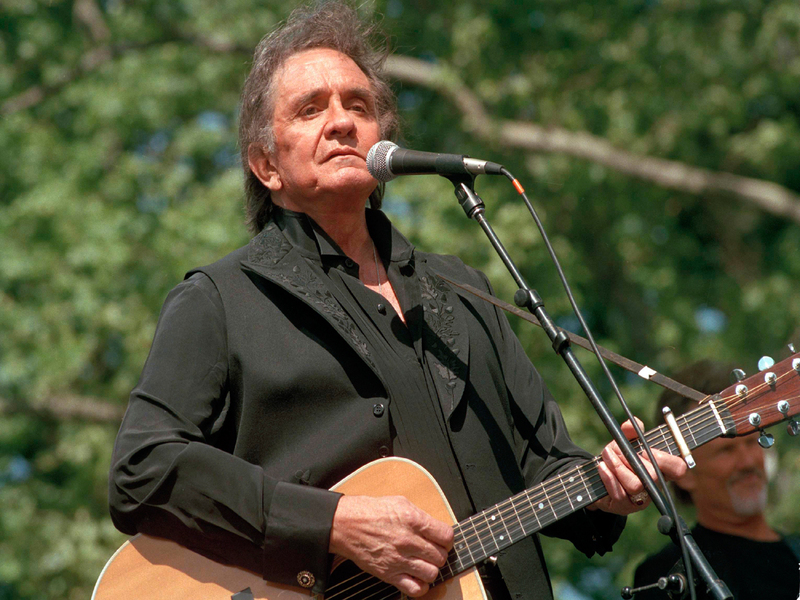 Johnny Cash's family members don't want his name anywhere near white supremacists and neo-Nazis. The legendary musician's children wrote a Facebook post saying they were "sickened by the association" after seeing video of a self-declared neo-Nazi in Charlottesville wearing a Johnny Cash t-shirt. Rosanne, Kathy, Cindy and Tara Cash said that their father would have been "horrified" to see a neo-Nazi wearing his name across his chest. "We were alerted to a video of a young man in Charlottesville, a self-proclaimed neo-Nazi, spewing hatred and bile," they wrote. "He was wearing a t-shirt emblazoned with the name of Johnny Cash, our father. We were sickened by the association." They continued and pointed out Cash's history of activism: "He championed the rights of Native Americans, protested the war in Vietnam, was a voice for the poor, the struggling and the disenfranchised, and an advocate for the rights of prisoners. Along with our sister Rosanne, he was on the advisory board of an organization solely devoted to preventing gun violence among children. His pacifism and inclusive patriotism were two of his most defining characteristics." The Cash family called neo-Nazis and white supremacists "poison in our society, and an insult to every American hero who wore a uniform to fight the Nazis in WWII ... To any who claim supremacy over other human beings, to any who believe in racial or religious hierarchy: we are not you. Our father, as a person, icon, or symbol, is not you. We ask that the Cash name be kept far away from destructive and hateful ideology."